Dubai: More than 10 years after the global financial crisis, the Arab world has yet to recover from that meltdown, with economic growth in the region still below pre-crisis levels and the outlook “uncertain”. According to the International Monetary Fund (IMF), oil importing countries in the Arab world still have high fiscal deficits and public debt, which have risen to 85 per cent of gross domestic product (GDP) in 2018 from 64 per cent in 2008. In a speech at the Arab Fiscal Forum in Dubai on Saturday, she said that public debt has risen “sharply” in oil exporting Arab countries to 33 per cent of GDP in 2018 from 13 per cent in 2013. Adding further challenges to the Arab world’s economic growth is the weakening expansion globally as risks rise. The IMF last month revised down its forecast for global economic growth in 2019, saying it expected growth at 3.5 per cent, down from its October forecast of 3.7 per cent. To navigate those challenges, she called for a foundation of good fiscal framework, saying that there is room for improvement in this region. Lagarde said governments should look at policies for the medium-term rather than the short-term, and should work on enhancing their credibility. She specifically pointed out factors such as large amounts of spending that are kept off-budget as well as poor risk management. “Addressing these fiscal risks would not only enhance budget credibility and transparency, but would help keep a lid on corruption,” she said, calling on governments to shine a light on all aspects of their budget and public accounts. 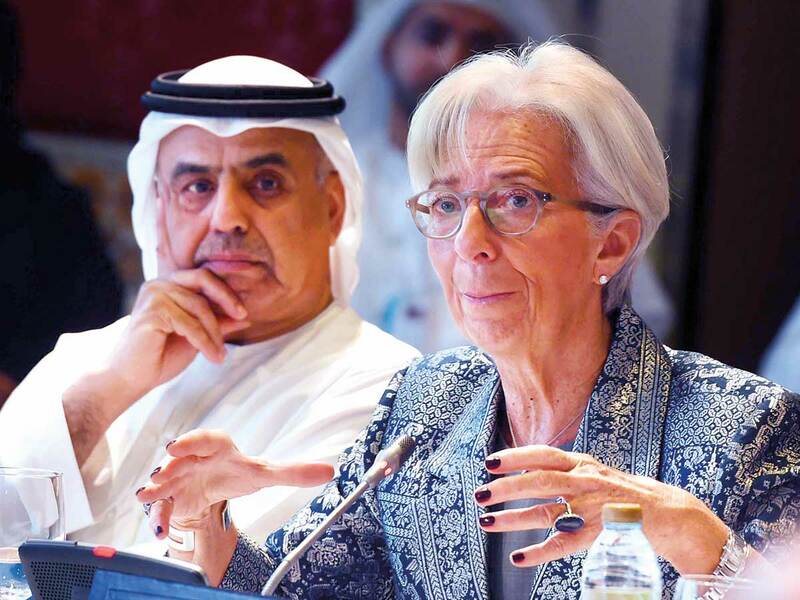 Lagarde added that some countries in the Arab world are already strengthening their fiscal frameworks, with the UAE, for example, set to produce its first fiscal stress test this year, but more can be done.